Says Vedanta teacher Uday Acharya,: "The heart of a satsang is the communication of spiritual ideas, so even an e-group fits the bill. Writing for Life Positive is also satsang!" 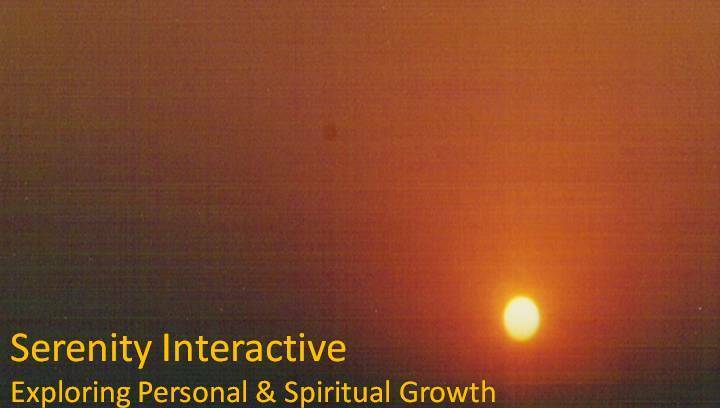 Certainly, there appears to be a groundswell of interest towards matters holistic. All systems of knowledge are converging and blending. Says Vedanta teacher Uday Acharya, "Science is coming closer to mysticism and psychology is getting integrated into metaphysics." "The extremeties of consumerism and materialism are also forcing people to urgently search for meaning in life. Says Uday Acharya, "It's a good era to be in. The severe discontent is forcing people to look deeply within." Uday Acharya is a Vedanta teacher who gives courses on the Gita and the Upanishads. He, too, chants Om Namah Shivaya as his mantra to become united with the universal mind. So do members of his family. There is no particular place or time when he does it, combining it with any other activity, like travelling, for instance. Why do we look outside of us, to friends, family, neighbors, everywhere but ourselves, for emotional and physical sustenance? "Because of patterns imbibed in childhood," explains Vedanta teacher Uday Acharya. "Because of patterns imbibed in childhood," explains Vedanta teacher Uday Acharya. "As children we observe that we need to 'earn' affection, that love is always conditional, that it requires being manipulative. We begin to believe that unconditional love is non-existent or that no matter how hard we try, we are undeserving of it." These patterns are carried into adulthood and we learn to treat ourselves the same way: we berate ourselves, lose faith in ourselves, mistrust ourselves. We continue as motherless children, wrapped in self-pity and rejection of ourselves. "Affirm to yourself: As a human being I'm deserving of love. I'm a lovable person," says Acharya. "Say: I am an adult now, capable of providing for myself everything I need. Whatever I lacked as a child and didn't get from others I can give myself right now." Bharchu was a minister who was loved by the king for his wit and wisdom. One day, Bharchu made fun of the king and incurred his wrath. The king ordered Bharchu to be executed, but he himself went into mourning, contemplating his hasty and drastic deed. After a year, when the king was still depressed and mourning, his councilors decided to cheer the king and organised a royal hunt in the forest. The king set off for the forest, and passing one of the dwellings, he was shocked to see Bharchu alive and well. Believing Bharchu to be dead, the king mistook him to be a ghost. With great difficulty the foresters convinced the king that Bharchu was not a ghost. The king checked with the executioner who confessed that he had allowed the minister to escape from prison and gave the king evidence to the contrary. Why did the king see a ghost instead of Bharchu? Was it the fault of his eyes, or was it because he firmly believed that Bharchu was dead? His eyes revealed the existence of Bharchu faithfully. But the mind rejected what the eyes evidenced. Similarly, the scriptures reveal the truth directly by saying ‘You are That’. Why then, do we not believe in the simple truth? Because of our conditioning; through the process of living untold lives we have accumulated several objections and preconceived notions about who we are that make us unable to take this statement at face value. Low self-esteem, undesirable habits and thoughts, all shroud the truth from us. Hence jnana yoga involves reflection and questioning until the layers of ‘ajnana’ are peeled away and the truth becomes crystal clear. In fact, the word ‘jnana’ is used interchangeably with ‘upasana’ (meditation) in the Upanishads, says Uday Acharya. The Kathopanishad speaks of OM as an object of meditation and also as the subject of Self-kowledge. Upasana is meditation involving concentration, steadiness, and contemplative thought. It involves mental disciplines that are helpful for learning, retaining, and contemplating on Self-knowledge. The Indian tradition is particularly rich in rituals that invest meaning in even mundane acts, while commemorating every significant milestone with ceremony. Vedanta teacher, Uday Acharya, points to the four ashramas that trace the stages of human life. These apart, says Acharya, the Hindu’s progression through life is richly encased in rituals from the time of conception, to her birth and subsequent punctuations such as the first hair cut, partaking of the first solid meal, the first act of writing, and so on. Then comes the ceremonial bath after one’s education, called Snathika, followed by marriage, the sixtieth and eightieth birthdays and finally death. The very nature of life and our Selves, according to the Upanishads, is joy or bliss. Our true nature is sat (reality), chit (consciousness) and ananda (bliss). "Vedanta says that happinessis you," explains Uday Acharya, a Vedanta teacher. Uday Acharya, Swami Dayanand Saraswati's disciple who teaches Vedanta to Mumbai aspirants, is more upbeat. Says he: "In this century all the positive things are coming together. Everything's ready for a takeoff. There's no specialization any more. Today, most subjects are becoming multidisciplinary, such as biochemistry or geopolitics. And whether in religion or in health, people are taking matters into their own hands. They come together in small prayer units, or try alternative medicine. They are taking back their power." Says Vedanta teacher Uday Acharya: "Young people are experiencing the downside of consumerism early in life. A young airhostess recently told me that she has enjoyed everything and now has nothing to live for. Many are earning fast fortunes and losing them quickly too. They realize there are no guarantees in life. Spirituality gives them the meaning and stability they need. Also, when they are hurt, they turn to spirituality to heal." Acharya also believes that their interest in spirituality is fueled by greater awareness of it at the ground level. "People are reading more and there are greater varieties of spirituality available today," he says. Vedanta teacher Uday Acharya explains it (intuition) as "a comprehensive grip of the principle of universality". With this, comes a comprehension of things in their totality, a holistic knowing. Acharya has another yardstick to check messages from the ego: "The ego is reactive. Its messages tend to be based on thoughts of scarcity, guilt and fear. Intuition speaks from the divinity within you." Uday Acharya, a Vedantic teacher, recommends traditional conflict resolution methods. He says: "The guru was the mediator between parent and child because of the respect he commanded. Value for truth minimized conflicts because if you were wrong, you had to apologize. And finally, there was a great sense of duty that compelled you to take measures to resolve relationship problems." Moving into spirituality indicates a graduation from the tacit acceptance of a belief system to an active, vibrant and experiential understanding of God. Says Vedanta teacher, Uday Acharya, "Unlike religion, spirituality is not about dos and don'ts. It is about growth."